Posted on December 8, 2017 at 1:56 am. Are you counting down the days until Christmas? You can make it go faster with the selection of online casino promos and bonuses available at reputable gambling sites. We take a look at the latest offers, including Christmas specials for online casino players. If it’s still Friday where you are, you can claim a 30 percent match deposit bonus at Mucho Vegas. If it’s not, you can claim it next week as it is ongoing. Players can claim a 30 percent bonus up to €/$300 every Friday at Mucho Vegas when making a real money deposit of at least €/$25. You will need an online casino account with Mucho Vegas and to select the Friday bonus when making a deposit. You will also need to wager the deposit and bonus 30 times before you can make a withdrawal. Slots contribute 100 percent to wagering requirements, so we recommend clearing the bonus and deposit on your favourite 5-reel titles. You can find out more about Mucho Vegas games and wagering requirements here. Online casino players can win a €5000 trip to Lapland for four nights by visiting BGO. The online casino, run by the Boss, is putting on an Ice Grotto, and up until December 21, every time you wager €50 on any game, except bingo, you will earn a ticket into the random prize draw to win a trip to Sweden. The prize package includes return flights, transfers, a guided tour of the Arctic forests and a Nothern Lights safari. One lucky winner will stay in a private cabin for the first three nights before moving to the ICEHOTEL. BGO will randomly draw out a winner on December 1, who can opt to take a cash prize if they can’t make the trip. A re-draw will take place if the winner cannot be contacted. Additionally, players who have self-excluded themselves will not be eligible for the promotion. We recommend checking out all the terms and conditions of the BGO Ice Grotto promo in full detail. Karamba is giving away ‘Non-Stop Gifts’ in its Xmas promo this month, with new welcome bonuses, daily and weekly prizes, and gadget giveaways. New players can claim a 100 percent welcome bonus of up to €200, along with 100 spins to use on selected slots. Deposit at least €20 to qualify, with the spins credited to your account over the next three days. The winnings from the free spins need to be wagered 50 times, and you will also need to wager the bonus 35 times within 21 days. You can then take part in the Karamba missions to win free spins and tickets for the gadget giveaway. Play the slot of the day, found on the promotions page, and collect symbols to qualify. Players who collect the most symbols will climb the leaderboard and can win a new iPhone X this week (December 7), and next week (December 14). The player with the most symbols by December 21 will win a LG OLED TV. The Non-Stop Gifts Xmas promo runs until December 5. Emu Casino has added a brand new payment method to its selection, called NeoSurf, and you can grab a welcome bonus when using it. The prepaid card deposit option is like a voucher which you can purchase around the world. You can visit the official NeoSurf website to locate a retail outlet and purchase a 10-digit pin code to enter at Emu Casino. When you sign up and make a deposit with NeoSurf, you can claim a $300 welcome bonus over three matched deposits. You will also receive 12 free spins to use on a selected slot. Be sure to read the wagering requirements, and you can find out more about the NeoSurf payment method at Emu Casino here. BGO online casino is also putting on a 25k fair spin draw this Christmas. Over the next three weeks, the Boss is giving 250 players the chance to win 10 fair spins on a selected slot. There are nine qualifying periods, giving you plenty of chances to win. To earn a ticket, wager €10 on any online casino game at BGO, excluding bingo, during a promotional period. You can earn as many tickets as you like, but you can’t use bonuses to earn them. Winners will be notified the day after the prize draw, with no wagering requirements attached. They do expire within three days, though. Players who have self-excluded cannot be included in the promotion. We always recommend reading all of the terms and conditions attached to promotions and the casino. 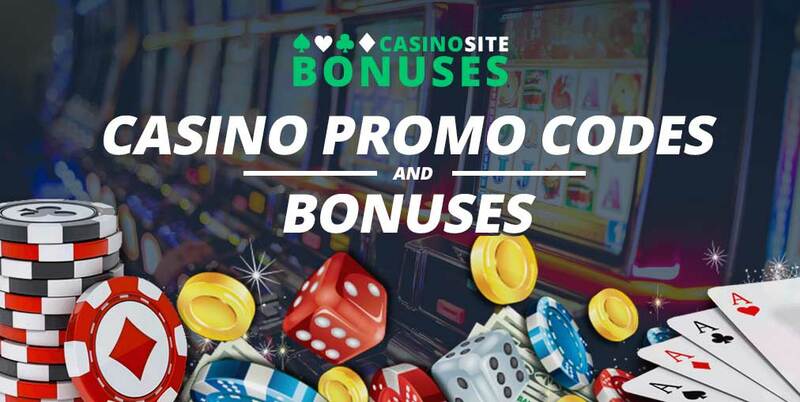 Find out more about the BGO 25k Fair Spins promo here. Claim a 50 percent match deposit bonus at Mucho Vegas online casino. The Mucho Vegas promo is only available on Wednesdays and Thursdays, but it’s always good to be prepared. So when Hump Day rolls around, get to the taco-loving online casino and claim the match deposit bonus up to €/$100. To claim, deposit at least €/$25 between midnight Tuesday and midnight Thursday (CET), and select the Midweek Reload Bonus. Mucho will then credit your account with 50 percent of your deposit. You do need to wager the bonus 30 times before you make a withdrawal and you can only claim it once per week. Mucho Vegas also picks a game each week where you can receive 20 free spins on the selected slot by wagering €/$100 between Monday and Friday. Want to know more? Find out about the Mucho Vegas promos here. Finnish online casino players can win a share of €500,000 thanks to Rizk online casino. Head to Rizk up until January 23 to participate in tournaments, missions and cash games to win a share of the available prize pools, detailed below. You can also unlock gifts every day at Rizk online casino – find out more about Rizk’s Christmas promos here.